How many times do we hear this? “Your not good enough for this or for that. now I’m not saying go tell everybody who isn’t saved they aren’t good enough, your not going to be very effective if you do. Yes we need to build people up because the world tells us we’re not skinny, strong, tall, pretty, handsome, ect. enough. But we aren’t good enough on our own so don’t go getting a big head. 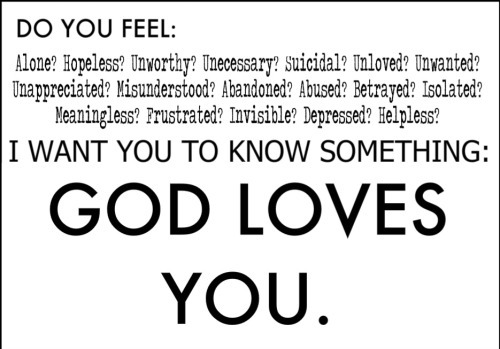 Christians are known for thinking we are better than everybody else, but we aren’t, God is. we’re not strong enough/good enough, but God died for us, so that anyone who accepts his gift is now good enough because of his blood. Which means without his love we are nothing! At the bottom there is a link to the song Savior Please by Josh Wilson, it talks about how we are nothing without his love, on our own we’re not good enough/strong enough, no matter how many times we try or hard we try.